Photos of Celebrities Stand Up Paddling! These photos were taken by (SUP) paddle boarders from around the world. From Washington State to Florida, from California to New Hampshire, from Utah to Tennessee, from Australia to Costa Rica, paddle boarding has become a global phenomenon and SUP ATX is proud to lead the charge. Join the mission of our growing community to spread the sport of paddle boarding (SUP) from oceans to lakes and rivers everywhere! SUP ATX encourages customers from all over the United States and around the world to submit photographs enjoying their (SUP) paddle boards. The photo gallery above is a collection of several hundred such images. Many of these photos have been submitted to us via the SUP ATX Facebook page, which is the largest SUP community on the Internet. Please take the time to scroll through this collection of pictures. You will get a broad view of all the ways our paddle boards are being used in different kinds of water and for a wide range of activities by men, women and children alike. You'll see SUP ATX customers stand up paddling in normal circumstances, but also many pushing the envelope for a more extreme experience, such as paddle surfing waves in the ocean, boat wake surfing on lakes and whitewater SUP surfing on rivers. 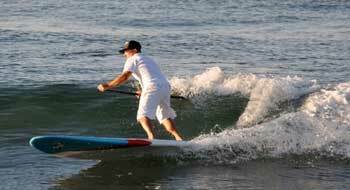 You will also see our paddleboards being used by professional athletes and celebrities. Many of these photographs are taken in areas you'd expect, such as Australia, California, Hawaii, Florida, and southern states such as Texas along the Gulf of Mexico. But you'll find many taken in areas, that until recently, you wouldn't expect to see stand up paddle surfboards: areas like Michigan, Minnesota, Washington, New York, New Hampshire, Pennsylvania, Washington DC, Arizona, Nebraska, Maryland, New Jersey, Massachusetts, Rhode Island, Connecticut, Nevada, Illinois, Iowa, Indiana, Ohio, North Carolina, South Carolina, Oregon, Idaho, Missouri, New Mexico, Louisiana, Alabama, Georgia, Vermont, Maine, West Virginia, Virginia, Tennessee, Oklahoma, Alaska, Montana, North Dakota, South Dakota, Iowa, Colorado, Utah, Nebraska, Kentucky, Mississippi, Arkansas, Connecticut, Delaware, Kansas,and Wyoming. SUP ATX is also expanding in Canada, Mexico, Central and South America, Europe and Asia. SUP ATX has become a global phenomenon that is well represented in the collection of images on this page.